The Commission re-arrested Ofili-Ajumogobia in line with the decision of the Appeal Court, Lagos Division, in a case involving Justice Hyeladzira Nganjiwa, where it said that a judge could not be prosecuted until he or she had either been dismissed or compulsorily retired by the National Judicial Council, NJC, according to a statement by the EFCC spokesman, Tony Orilade. In his ruling at today’s (Tuesday) sitting, Justice Akeem Oshodi stated that, based on the judicial precedent set by the case of Hon. 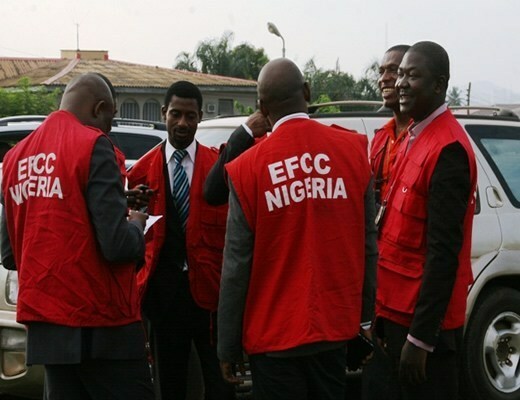 Justice Nganjiwa V. FRN, the High Court lacked jurisdiction to hear the suit as the EFCC “jumped the gun” in filing the first amended charge. “In view of today’s ruling by Justice Oshodi and having complied with the NJC procedure, the Commission is set to prefer fresh criminal charges against the first defendant, Ofili-Ajumogobia”, Orilade added.